Our Popular Eras of Life Geological Time Scale presents the complex life on Earth as it has evolved over the past 365 million years. This chart "zooms out" to show the big picture. 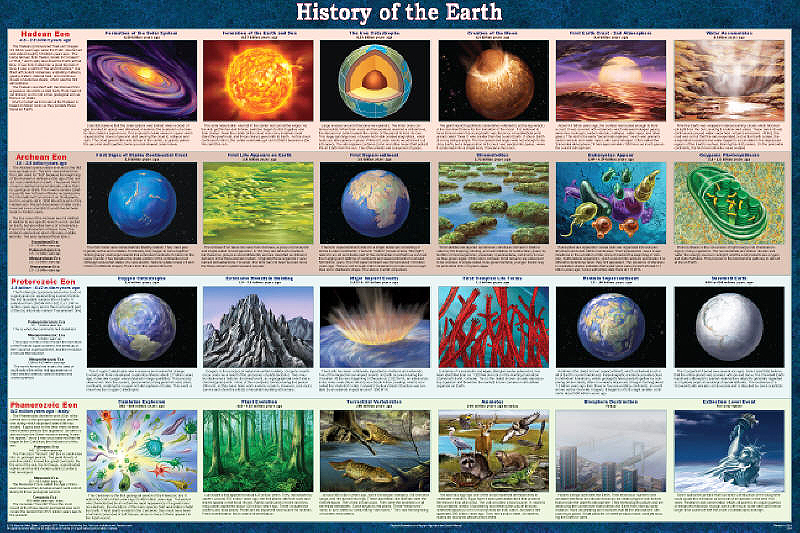 It condenses the 4.6 billion years that the Earth has been around to a 24" x 36" poster.